Huge Savings Item! Save 13% on the Nordic Ware Toaster Oven 2-Piece Broiler Set by Nordic Ware at Baking Love. MPN: 42210. Hurry! Limited time offer. Offer valid only while supplies last. View More In Bakers & Casseroles. 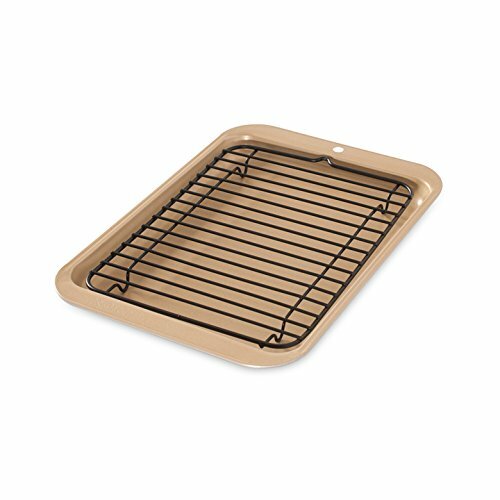 Hand wash with mild detergent, Outer dimensions of the broiler set is 10"L x 7"W x 0.63"H. The cooking surface is 8.5"L x 6.5"W x 0.63"H.